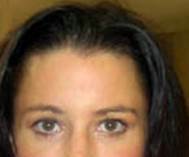 Browlift surgery can enhance and rejuvenate a woman’s facial appearance. Obtaining the best possible result requires understanding the shape and position of the youthful female brow and how it changes with time. Surgical procedures should aim to restore youthful brow shape and position rather than increase brow elevation per se. 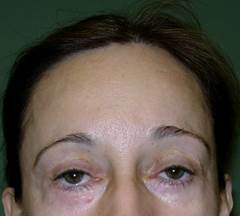 The following essay presents Dr. Yaremchuk’s thoughts and approach to browlift surgery. A paradox is a statement or proposition that seems self-contradictory or absurd but in reality expresses a possible truth. 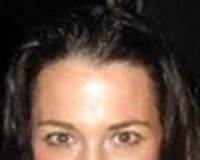 Young women have low brows (after Troilius, Plast Reconstr Surg 114, 2004). Attractive women have low brows. 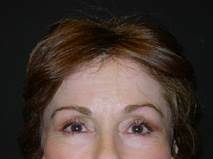 Brows ascend with age as demonstrated in this patient shown in youth and maturity. The rationale typically given for browlift surgery is that brows descent with age due to gravity, so it is widely accepted that lifting brows rejuvenates and enhances appearance. And, Reversing browlifts can enhance appearance as demonstrated in this browlift patient who had her brows lowered by Dr. Yaremchuk. How do we reconcile these statements? Drs. Matros and Garcia measured the average shape and position of the brows and noted the difference between young and older women. 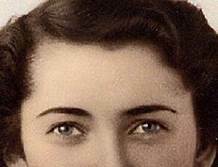 They found that in young women the apex (highest point) of the brow was positioned lateral to the pupil and iris. With age the medial portion became elevated and the lateral end dropped. The shape changed from the apex lateral of youth to an apex neutral with age. With aging, the muscle that lifts the upper lid (levator) tends to stretch, allowing the upper lid to drop and obstruct one’s vision. To compensate for the upper lid drop, patients elevate their brows by activating their frontalis muscle (forehead) which also elevates their upper lid. Because the frontalis muscle does not have any fibers over the lateral brow, the lateral brow tends to fall due to gravity. To summarize, at the inner aspect of the eye, brows rise with age, while the outer end falls. That changes the overall shape and position of the brow, but it does not simply pull it downward. Therefore, lifting the entire brow won’t give a patient a younger look. 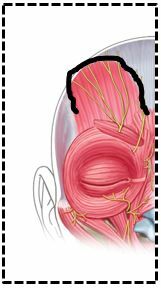 The frontalis muscle which raises the brow is outlined in black in the image to the right. 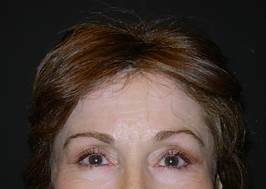 The goal of browlift surgery should be to restore brow shape and position, not increase elevation per se. There are many ways with surgery to accomplish this. The appropriate technique depends on the individual’s anatomy. In general, endoscopic techniques which employ multiple limited incisions, tend to move the entire forehead soft tissue mass en bloc. 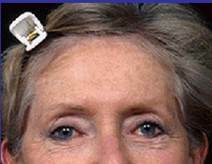 This en bloc movement limits selectivity in brow repositioning. For that reason, Dr. Yaremchuk prefers open techniques which use incisions placed either well within the scalp or at the hairline. 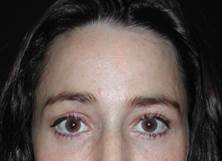 Another open alternative employs temporal incisions which allow selective elevation of the lateral brow. 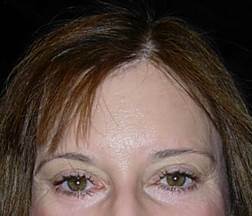 This patient underwent browlift and eyelid surgery by Dr. Yaremchuk. 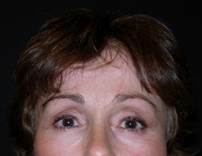 Dr. Yaremchuk has developed a technique to restore a youthful brow shape and position after exaggerated browlifts. Examples of pre- and post-operative results are shown below.